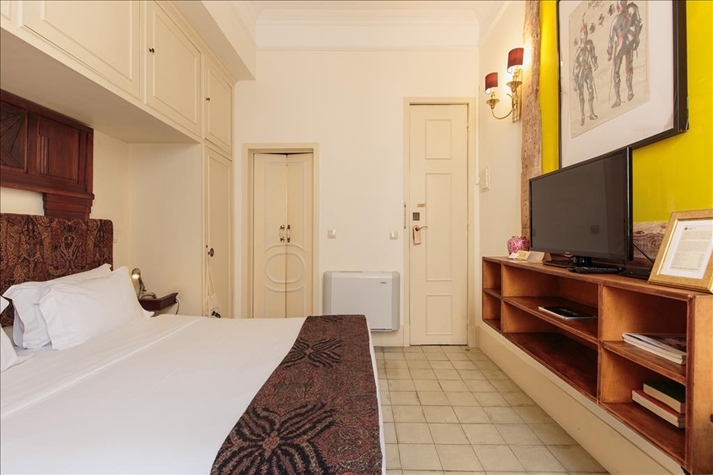 Our small room comes with all the essentials for a comfortable and restful stay. Decoration is a must, and you will find all sorts of unique details that you will love. 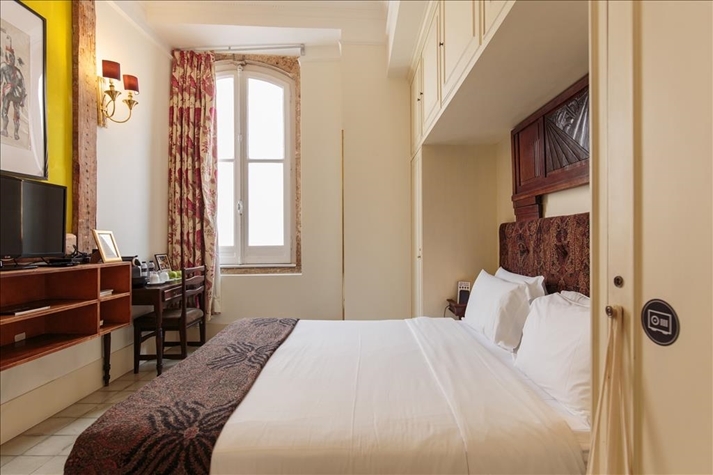 With a double queen size bed, WIFI, safe, coffee machine, AC and TV you’re all set for your Lisbon experience. 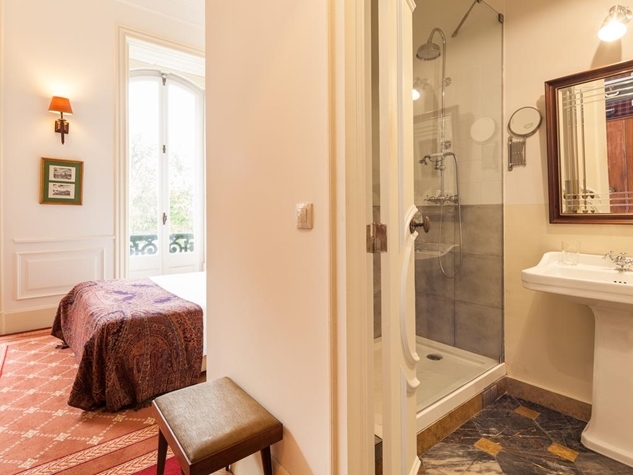 Each room comes with its own bathroom with shower, amenities and hairdryer. 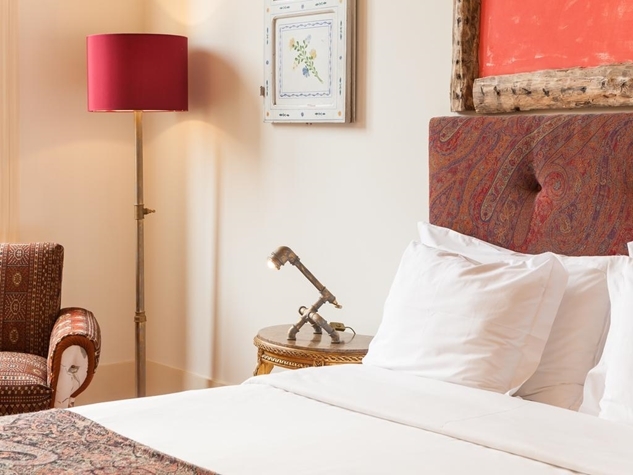 Perfect for a couple or those looking for a stylish alternative to your standard hotel room, our Double room is impeccably decorated with unique vintage pieces, and comes with a double queen size bed, WIFI, safe, coffee machine, AC and TV. 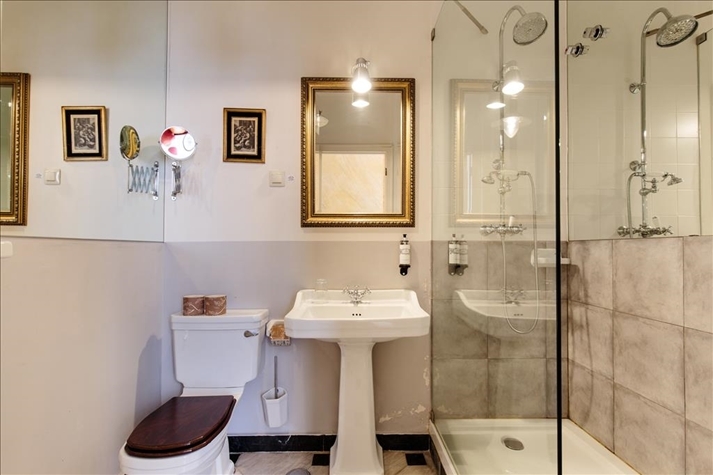 The ensuite bathroom comes with a shower, amenities and hairdryer for a relaxing stay. 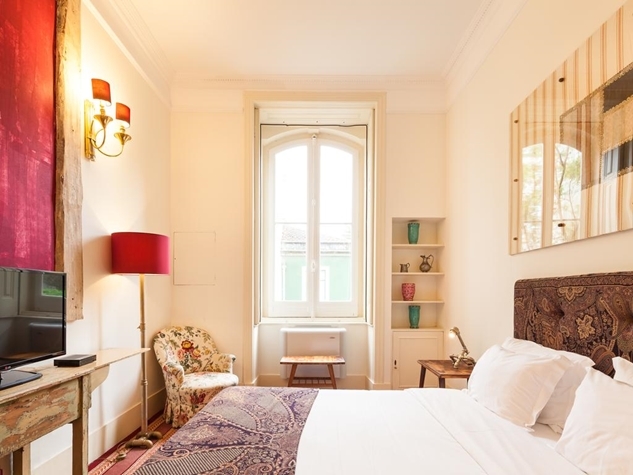 Similar to our Double room, the Double room with view has it all and a view overlooking Lisbon. 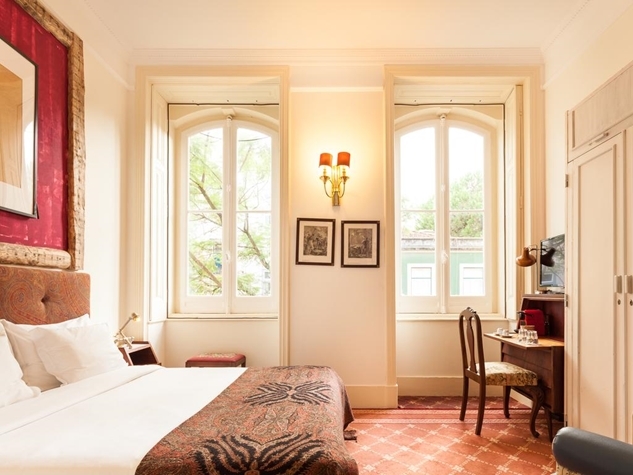 Enjoy the vintage details and wake up with the sun rising over the city in your own double queen size bed. The room is equipped with WIFI, safe, coffee machine, AC and TV. Includes one ensuite bathroom with shower, amenities and hairdryer. 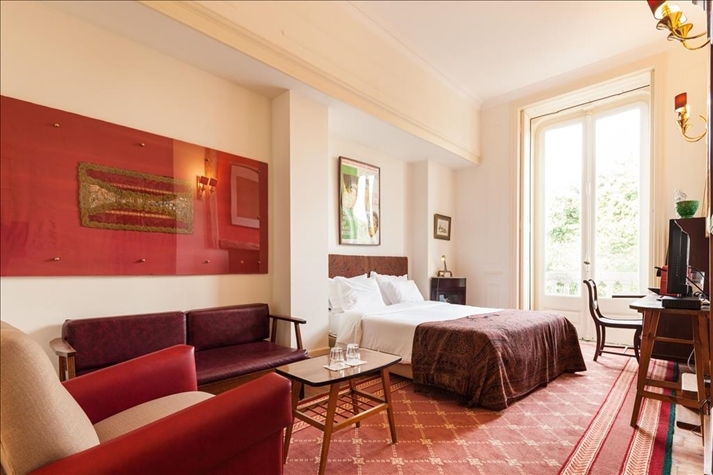 The Double Superior room comes with some extra moving area, ideal for longer stays or for those who like to spread out. 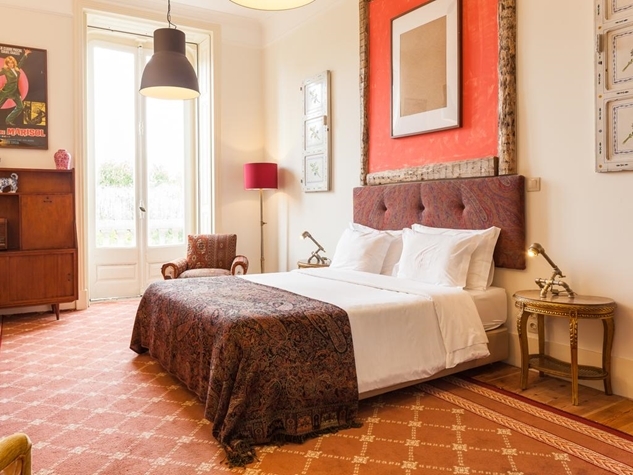 The perfect combination of vintage and antique pieces is dispersed out all over the room, making for a unique accommodation experience. The room comes with a double queen size bed, WIFI, safe, coffee machine AC and TV. 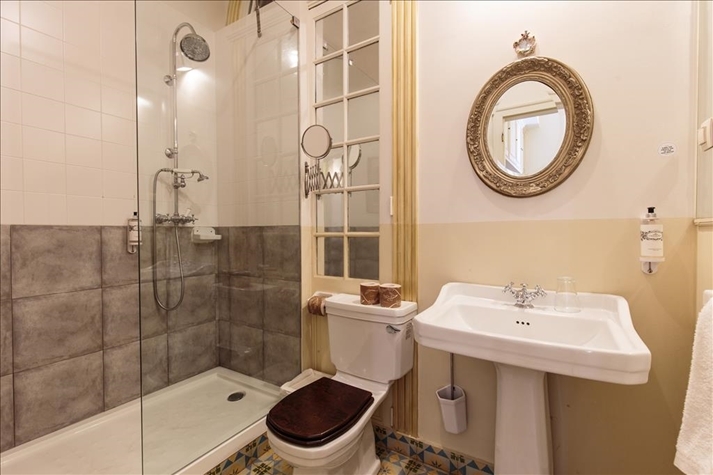 The bathroom is ensuite and comes equipped with shower, amenities and hairdryer. 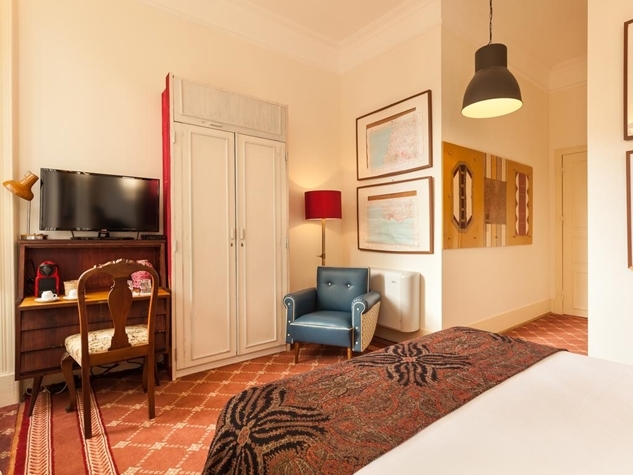 All the goodies you get in The Double Superior room – extra space, double queen size bed, WIFI, safe, coffee machine AC and TV – with an additional overhead view of Lisbon that will surely help you to wake up refreshed and relaxed. 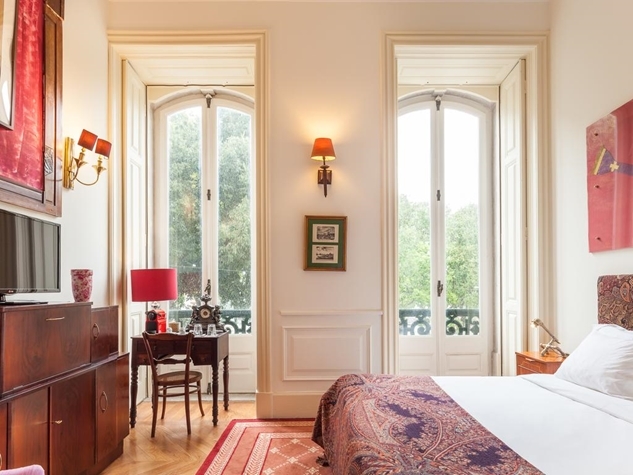 Enjoy in the sumptuous vintage decoration and its surprising details. The room includes one ensuite bathroom with shower, amenities and hairdryer. 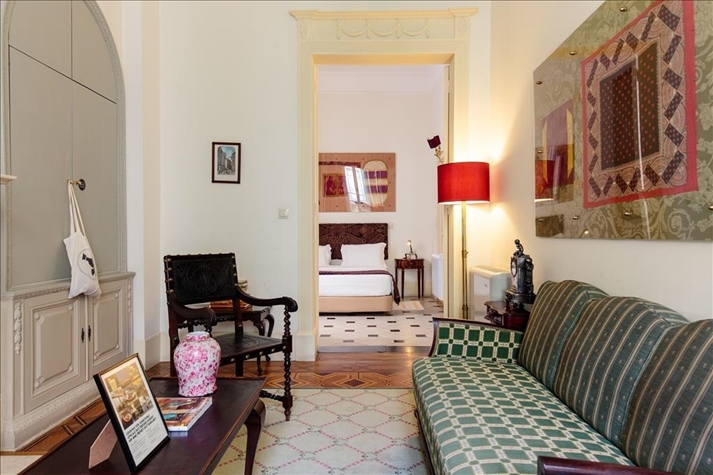 Our Double Deluxe room offers a plush stay for those looking for something special on their Lisbon visit. 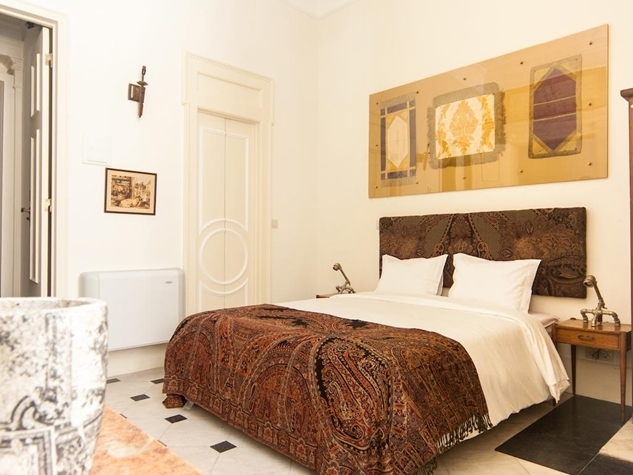 The room is impeccably decorated with unique architectural details and one of a kind vintage pieces, and features a double queen size bed, along with WIFI, safe, coffee machine, AC and TV. And of course, you will also get a stunning view over Lisbon, just the thing to get you in a good mood in the morning. The room comes with an ensuite bathroom with shower, amenities and hairdryer. 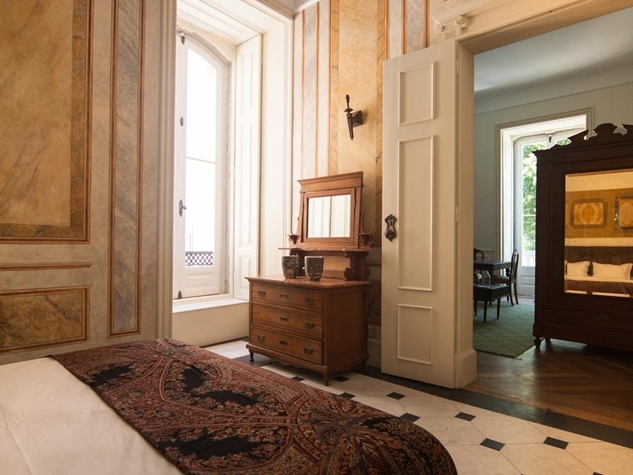 Feel like a lord or lady in your own private palace complete with unique details and extravagant vintage decoration. 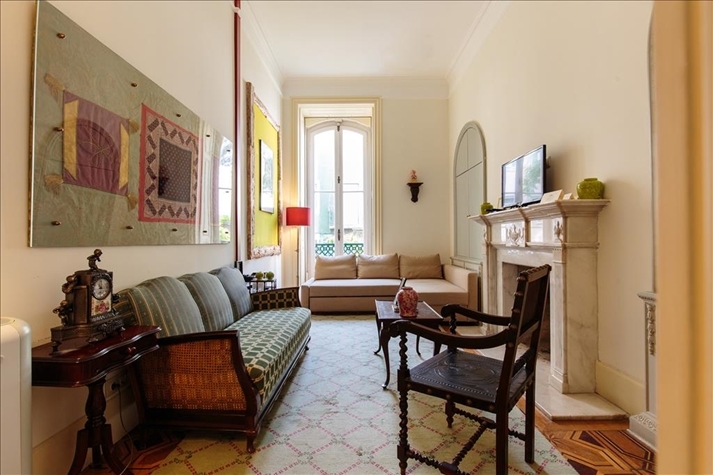 The Suite Deluxe comes with an additional living room, ideal for unpacking, dancing or whatever takes your fancy. 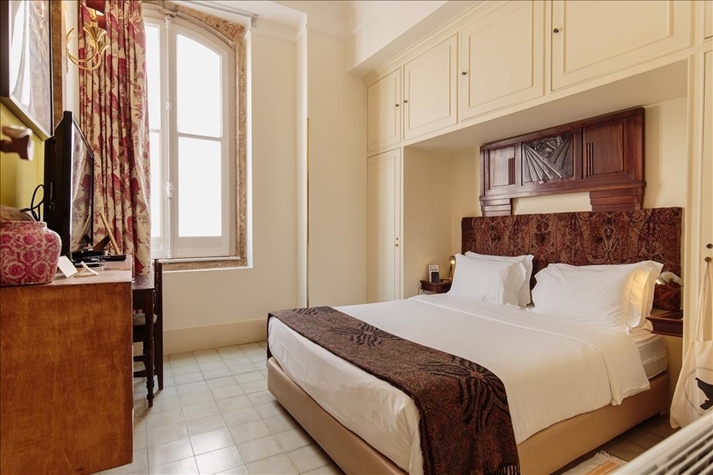 Comes with a double queen size bed, WIFI, safe, coffee machine, AC, TV and a sofa bed. 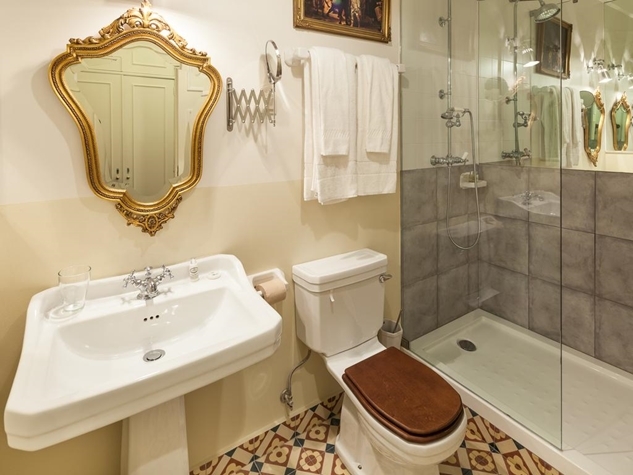 The ensuite bathroom includes a shower, amenities and hairdryer. 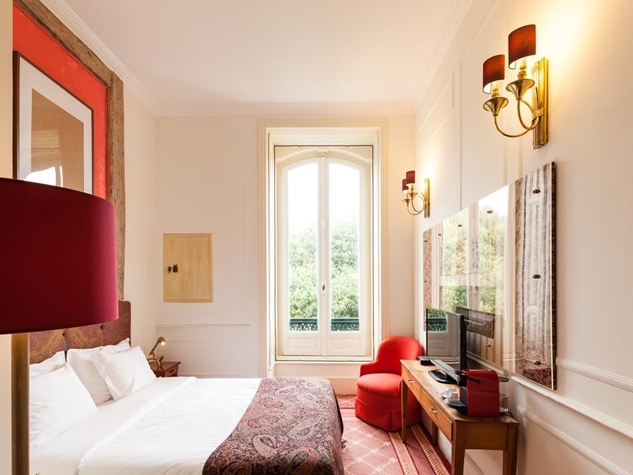 Book your stay with up to 30 days in advance and get up to 20% off on your booking! 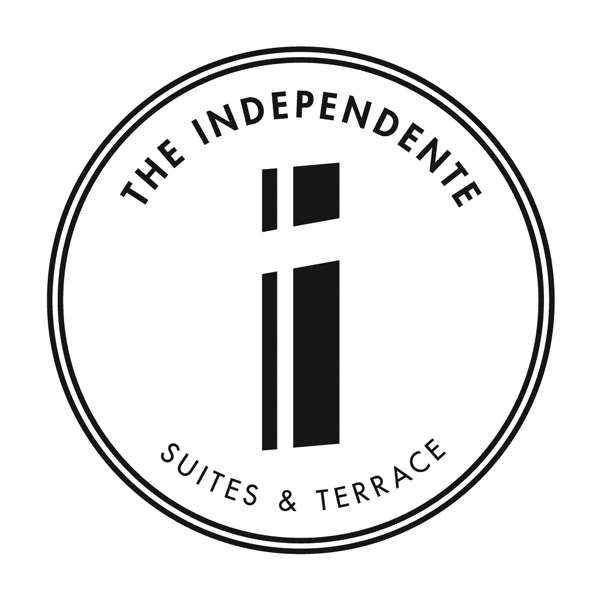 Book 2 nights at The Independente Suites & Terrace and enjoy a 22% discount on your stay. 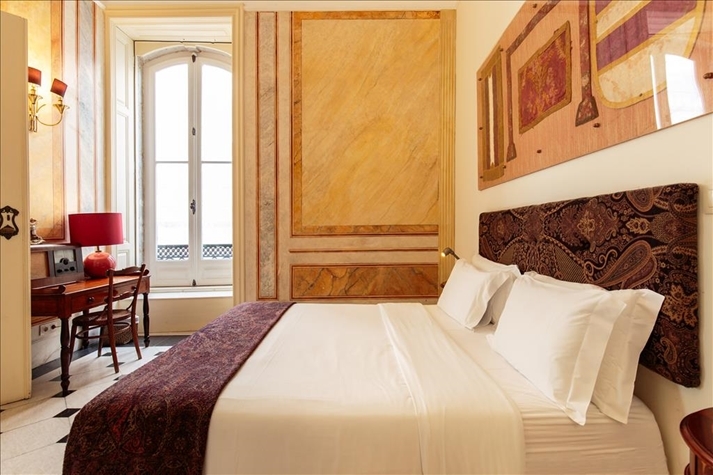 Stay for more than 4 nights and benefit from a 25% discount on the total price of your stay. At The Independente Suites, we want you to start your day right. That is why breakfast is served in our rooftop restaurant The Insólito. 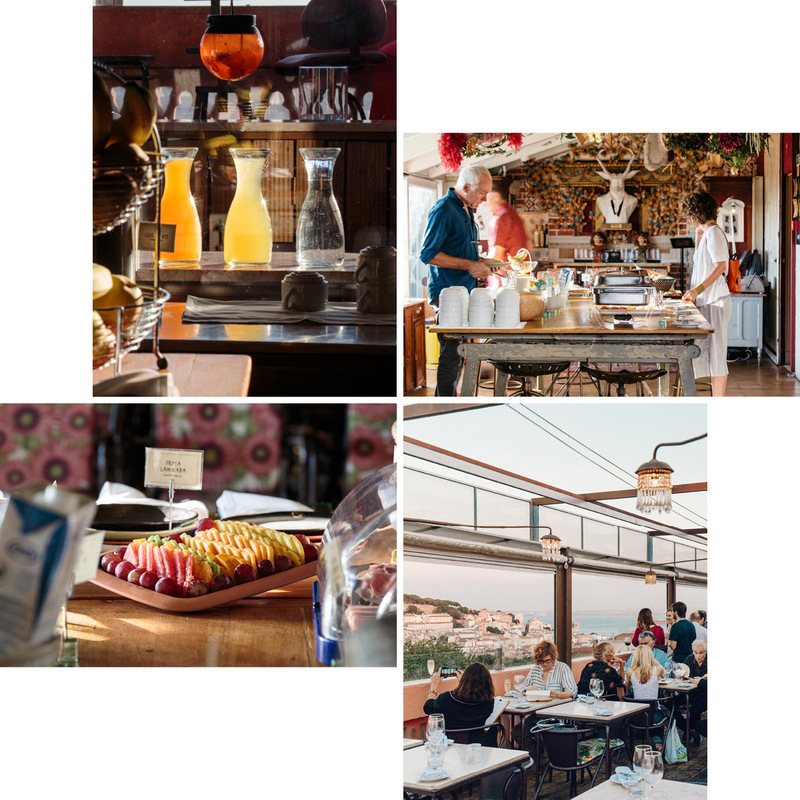 Pick and choose from our buffet and then take your time with your breakfast while enjoying the overhead view of Lisbon and the river. We guarantee it will get you in the best mood and ready to start exploring the city.